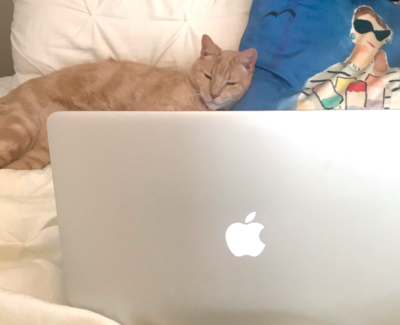 So far Tess Yocom has created 3 blog entries. Consumers are turning to Google and social media to plan their Thanksgiving meal, making it imperative for brands having anything pertinent to this American holiday to study online behavior. By doing so, companies can develop marketing campaigns that get to the heart of what their target audience wants and increase revenue. If Thanksgiving is synonymous with one thing, it’s tradition. Since its founding, Americans have spent the fourth Thursday of November celebrating in true Norman Rockwell fashion: Spending time with family while counting their blessings and eating copious amounts of turkey. However, that doesn’t mean the holiday hasn’t had its fair share of off-the-cuff trends. Take Cheetos. In 2017, Reynolds Kitchen developed a recipe for a Flamin’ Hot Cheetos Turkey — a concoction that is, in fact, exactly what it sounds like — that went viral on social media. While you likely won’t find a bird sprinkled with spicy chips at Aunt Karen’s Thanksgiving table, the recipe reflects a trend: American are willing to try what can be viewed as “less traditional” recipes or activities on Thanksgiving. Turns out, Americans are willing to shell out big bucks for the meal. A study compiled by finance company lendedu found that the U.S. spends $2.98 billion on Thanksgiving dinner food. With dozens of brands stocking grocery store shelves, it’s imperative for CPG companies to collect the most accurate consumer insights so they can keep up with these trends and reach consumers with the right message at the right time. The answer: Online consumer insights. While gathering primary data through focus groups can teach companies quite a bit about their target markets, it’s not sufficient. To truly understand consumers, brands need to measure what their audience is actually doing — not just saying — which is where digital data comes into play. Online data can help you uncover surprising insights about your consumers that you might not discover through focus groups or more traditional primary and secondary research — perhaps they turn to Google to answer uncomfortable or embarrassing queries. For example, “what to do with turkey carcass after thanksgiving” yields approximately 90 searches per month. Therefore, it’s key to include online research throughout the planning process to uncover these less intuitive queries. 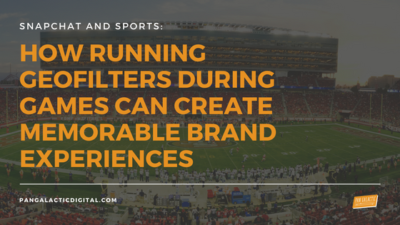 But, how can brands uncover and interpret these insights? Let’s break it down. Take Gobble Goods, a (completely fabricated) e-commerce food market that sells premium pantry staples, grains, canned goods, high-end meats, dairy, and a limited amount of organic produce. As a relative newcomer in the CPG space, they’re interested in becoming the go-to brand for 25-45 year-olds cooking on Thanksgiving and want to grow awareness and trial around the holiday. Therefore, they’ve set aside a large amount of their Q4 budget to run a highly-targeted digital program and implement free, three-day shipping on all orders. 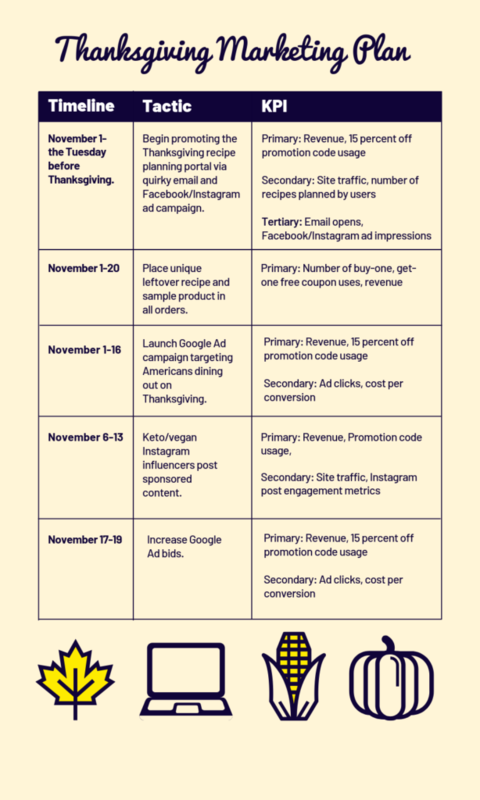 Gobble Good’s short-term goal is to increase November profits by 75% year-over-year, but they’re also interested in building a brand-loyal audience. Therefore, they’ve also set a goal of having 20% of first-time November shoppers purchase from Gobble Goods a second time within 90 days of their first transaction. While Gobble Goods has conducted some focus groups, they’re primarily interested in online consumer behavior — after all, that’s where their brand lives! 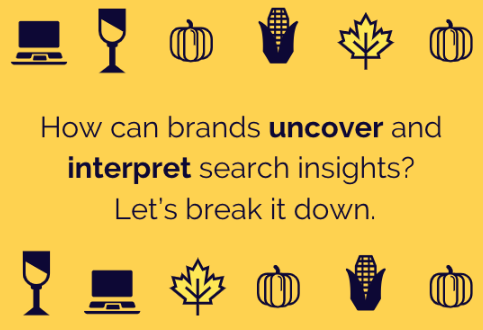 — and want to know when and what their target audience searches for when planning their Thanksgiving dinner. That way, they can develop a highly targeted campaign that gets to the bottom of their audience’s needs. They enlisted the digital experts at Pan Galactic to help them uncover important insights on Thanksgiving consumers and create a marketing campaign to reach their target audience. Like a good pumpkin pie, let’s start from scratch. We began our Thanksgiving ventures by getting to the bottom of a basic question: When do people start meal prepping? We turned to Google Trends, which measures relative search popularity for a particular keyword over weeks, months, and years. Within the past 12 months, searches peaked the week of Thanksgiving 2017. Are Americans waiting until the last-minute to find recipes? Turns out, the results were identical. We were beginning to collect some insights, but still wanted to do some due diligence to make sure people were only procrastinating finding recipes – not their entire Thanksgiving planning. Adults cooking Thanksgiving dinner are still like college students cramming for an exam: They hold off planning until the last-minute — and even start thinking about how they want to set up the kids table before hunting down how to make the pecan pie. What does this mean for Gobble Goods and its digital marketing plan? Consumers don’t finalize their Thanksgiving meal until the last-minute, but Gobble Goods has the opportunity to change that. The plan? Develop an online tool where users could plan their Thanksgiving menu from the hundreds of recipes Gobble Goods already had on their site. Visitors would be able to browse from a large selection of Thanksgiving cocktails, wines, appetizers, main dishes, sides, and desserts. Once users chose their recipes, they could directly select and order all the ingredients needed (while Gobble Goods would ship perishables the week of Thanksgiving) at 15 percent off. Gobble Goods would begin promoting the platform on November 1 with catchy marketing emails and Facebook/Instagram ads to encourage consumers to start planning what recipes they would make for the big meal and – unlike previous years – not hold if off until the last-minute. “So-Dang-Crammed-I-Can’t-Move-My-Cart” Grocery Shopping is So 2017. Aunt Linda won’t hold off on the passive-aggressive comments. Don’t hold off on your Thanksgiving planning. By acquiring data that shows shoppers delay recipe planning until the last-minute, Gobble Goods can develop a creative campaign that relishes this insight and places the brand in front of consumers long before they head to a traditional brick-and-mortar store. 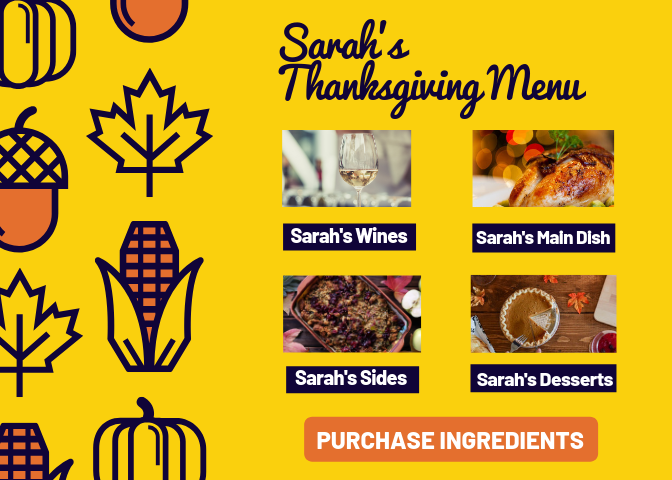 Through the recipe portal, Gobble Goods is developing content that is useful and helpful for consumers that can easily be repurposed for other celebrations, including the 4th of July, a Super Bowl party, or Christmas. To get to the bottom of this, we searched for recipes on Buzzsumo, a tool that shows the number of shares a piece of content receives on Facebook, Twitter, Pinterest, and other social media platforms. While some traditional recipes made the cut, we were intrigued by how many vegan and keto versions of Thanksgiving classics appeared within the queries. Specifically, 11 of the 20 most shared Thanksgiving recipes on Pinterest in 2017 were vegan or keto-friendly. This number was shocking, considering that the majority of Americans do not partake in either diet. Turns out, search volume for both queries – especially “keto thanksgiving” – have rapidly increased since 2013. Both vegan and keto lifestyles have increased in popularity over the past five years. People who follow either of these diets aren’t planning on having a “cheat day” on Thanksgiving; instead, they need to find dietary-friendly versions of their favorite dishes. 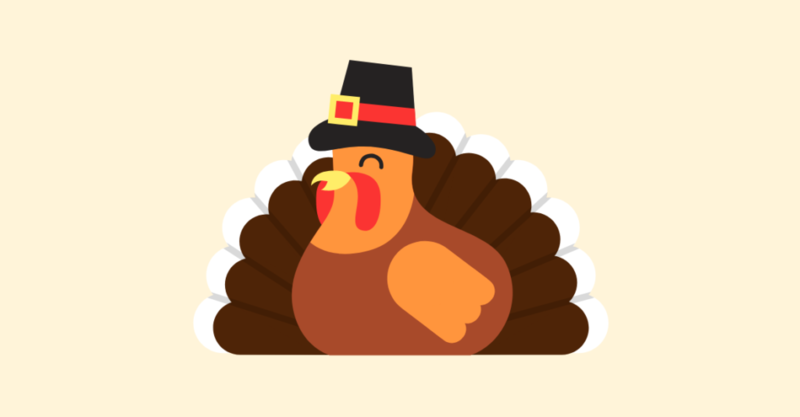 As Gobble Goods begins developing Thanksgiving content on their site, it’s important for them to keep this in mind; if positioned correctly, the company has the opportunity to become a “one-stop shop” for users who follow these diets and are looking to plan different sides and recipes. We know consumers are looking for vegan and keto-friendly Thanksgiving dishes, but what types of recipes are they most interested in? To find out, we dug into SEMRush – a keyword research tool – to see if anything stood out. For vegan recipes, consumers were searching for just about everything – including main dishes, sides, and desserts. Therefore, we recommend that Gobble Goods develops a vegan Thanksgiving portal that guides those looking for meat and dairy-free recipes throughout their entire meal. Search queries for keto recipes were a bit more narrow for the low-carb diet. Since bread is off-limits on the keto lifestyle, they were looking for one specific recipe replacement: stuffing. Based on these insights, Gobble Goods will work with health and wellness Instagram influencers to promote a 100 percent vegan Thanksgiving spread as well as a keto stuffing recipe. To start the process, Pan Galactic would begin researching and vetting influencers to see which bloggers had an engaged audience, posted high-quality images, and were willing to work with brands. Each blogger would cook the recipes themselves, post a photo on Instagram, and link to the content on Gobble Good’s site, where users who ordered the ingredients would receive 15 percent off their order by applying that influencer’s unique promotion code. Working with influencers not only gets Gobble Goods in front of Americans following a vegan or keto diet, but also increases the brand’s trust factor; if someone well-known in the health food community turned to Gobble Goods for their Thanksgiving shopping, their followers may be more likely to as well. By using insights from search data, Pan Galactic was not only able to uncover the increase in desire for vegan and keto Thanksgiving substitutes, but which specific recipes users were looking for. By now, we’ve helped Gobble Goods develop a digital marketing plan to reach consumers planning their Thanksgiving dinner. But are more Americans skipping a home-cooked meal all together? Turns out, that might be the case. As Black Friday increases in popularity, we wanted to find out if more families would purchase their meal at a restaurant instead of cooking the feast themselves. Indeed, search volume for “restaurants open on thanksgiving” has rapidly increased since 2013. To dive even deeper, we once again turned to SEMRush to see what specific restaurants consumers were searching for. Cracker Barrel and Golden Corral topped the list, while searches for “starbucks thanksgiving hours” were also frequent, indicating that people may simply be grabbing a cup of coffee before driving to Grandma’s house or participating in a Turkey Trot. There were also quite a few searches for restaurants in general, with “what restaurants are open on thanksgiving near me” receiving an average of 6,600 searches per month. This is obviously alarming for Gobble Goods, since the company relies on sales from Americans cooking Thanksgiving dinner – but there’s no need to lose hope! Instead, they need to find a new way to target consumers who may be dining out, but want to enjoy a slice of pie or a cup of coffee when they get home. Dining out on Thanksgiving? Save room for a slice of post-dinner pie by the fireplace. Receive 15 percent off and free three-day shipping on all Gobble Goods pumpkin pies. Dining out on Thanksgiving? Save room for a glass of pinot noir by the fireplace. Receive 15 percent off and free three-day shipping on all Gobble Goods wines. That way, Gobble Goods can still drive sales from people who may not be cooking an entire meal from scratch. Since searches for this query peak the week before Thanksgiving, Gobble Goods would run the campaign the entire month of November but significantly increase bids from Saturday, November 17 to Monday, November 19; this allows the brand to get in front of consumers when they’re most likely to search for open restaurants while staying within the three-day shipping limit. Now that our target audience has stuffed their faces at Thanksgiving dinner, washed all the dishes, and enjoyed a slice (or two) of pie, the holiday appears to be over. The “next-day” Thanksgiving sandwich has been an American tradition for years; after all, it’s hard to go wrong concocting a mixture of turkey, stuffing, and cranberry sauce and slapping it between two slices of bread. But is this sandwich still a trend, or have Americans come up with more creative ways to use up their leftovers? To find out, we once again went to Buzzsumo to see which recipes for the keyword “thanksgiving leftovers” had the most pins on Pinterest. While sandwich recipes were still prevalent, there was quite an array of more adventurous recipes: Dumplings! Poppers! Enchiladas! Flautas! We turned to Google Trends to support this data and found that searches for “thanksgiving leftovers” have indeed increased year-over-year. Whether Americans are having a next-day get-together or simply want to find a unique way to use up food sitting in stacks of Tupperware, they’re getting creative with their Turkey Day leftovers. For Gobble Goods, this means their marketing campaign shouldn’t end the second the Macy’s Day parade begins. Since Pan Galactic knows through search and social data that curiosity in unique leftover recipes has increased year-over-year, Gobble Goods should include a surprise and unique next-day recipe with each order. The box would also contain a sample-size product of something an average user may not try on their own, such as hemp hearts, cashew butter, or ghee. They would also receive a buy-one, get-one-free coupon valid after December 1, which would encourage users to return to the site and purchase groceries even after the holiday ends. By continuing the campaign post-Thanksgiving, consumers can begin to develop a relationship with Gobble Goods and use its website as a resource throughout the entire year. Consumers unveil their true selves online —making it a missed opportunity for brands that don’t seek information and use these insights to develop a targeted digital marketing campaign. And because of that, we’re thankful for online data.